If you are like me, you are always seeking out the books and teachers who inspire and motivate writers and non-writers alike. To that end, I polled a bunch of friends, tweeps, and writers from all over and asked them: What writing books do you love? What has done the most for your creativity and career? What I was looking for were books to fuel a year of creative growth, gaining and honing my skills and perhaps learning a few new tricks. Who doesn’t like new tricks? So I present this recommended list of writing books. I have read some, some are now on order based on the marvelous writers who swear by them. A sort of Writer’s U at home. A staycation of self-improvement. So if you are game, consider picking one from the list each month and joining in. I’m going to be blogging about one book a month and sharing my own experiences and hope you can join in. Even if you have no desire to write, creativity is not unique to writers, it resides in all of us. My hope is to inspire each and every one of you to find your own place to blossom and grow. Making a Literary Life by Carolyn See. I have not read this one, but when I asked Liza Palmer her favorites, this title was out of her lips without any hesitation. Now on my TBR. On Writing by Steven King. This is the audio version, because face it, it is Steven King reading Steven King. How to Write Killer Fiction by Carolyn Wheat. 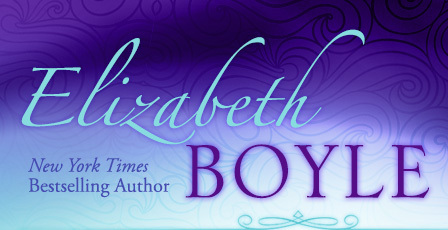 Another book on Liza Palmer’s must read list. As she explained, “Don’t we all want elements of suspense in our novels to make them page turners.” True that! Bird by Bird by Annie Lamont. This was Megan Crane/Caitlyn Crewes first choice out of the gate, and she’s picked a true classic, one that is on everyone’s list. But have to admit, I have never read it. Time to change that. Save the Cat by Blake Synder. I love this book. It helps you see fiction through a screenwriter’s focused eye and keeps you on target. Love it! The Courage to Write by Ralph Keyes. Another book on Megan’s list. 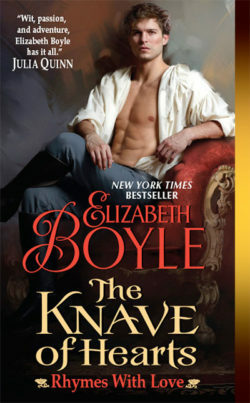 Another for my TBR. Writing from the Inside Out by Dennis Pulumbo. The Art of War for Writers by James Scott Bell. I adore this book. The perfect pick up and read a short chapter for your daily kick in the pants. JoAnne Ross says it is a perfect book for “quick encouragement.” Can’t we all use that from time to time? Keep this book within reach. Writing Down the Bones by Natalie Goldberg. Another one of those books that is always on the top of writer’s lists of inspiring and helpful books. Reading like a Writer by Francine Prose. If You Want to Write by Brenda Ueland. Writing Dialogue for Scripts by Rib Davis. Lori Wilde recommended this book and called it an “eye opener.” Another for the list. Walking on Alligators by Susan Shaughnessy. This book is another one for quick inspiration and daily affirmations and exercises. The Writing Life by Annie Dilliard. How to Write Your Best Story by Philip Martin. This and the Annie Dilliard book both came with the recommendation: “Good advice, well written.” What more could you ask for? Goal Motivation & Conflict by Deb Dixon. I will be honest. This book has never sung to me. But on the other hand, I know so many writers who rave and love it. I mean LOVE it. So I could hardly leave it off. Break into Fiction by Mary Buckham and Dianna Love Snell. Love Mary Buckham–and her workshops are so popular. So if you can’t get to a workshop, then the book is the next best thing. Scene and Structure by Jack Bickham. The quintessential and essential nuts and bolts book for every writer. Love this book. Writing the Breakout Novel by Donald Maass. One of my all-time favorite books–a great nuts and bolts read for honing and making your novel standout. Are there books that are missing from the list? This entry was posted on Tuesday, January 10th, 2012 at 2:46 pm in Elizabeth's Favorites, Friends, Giveaways, Freebies, & Contests, TV, Movies, & Good Reads, Writing. Tagged: creating characters, writing, Writing Advice, writing fiction, Writing Habits, writing novels, Writing Romance, Writing Tips. You can feed this entry. Both comments and pings are currently closed. My mother, who went for being on drug for 20 years to being clean for almost 10 years in a couple of months and my kids. I have four, 3 girls and a boy. The all inspire me to be a better person, so that in return I can hopefully be an inspiration to them. The kids drive me crazy, but I love them and at times the can do or say something amazing and it makes me realize that the craziness is worth it. My mother, well after everything that we have been she amazes me everyday, because addiction is a constant battle and she has been doing a fantastic job of fighting it daily. Sorry, I tend to ramble. I would love to read Writing the Breakout novel. But only one book inspires me day in and day out. That is the BIBLE. It reminds me of God’s love and belief in me that I can do anything I set my mind to . I have been scouring libraries and bookstores for helpful how to books and guidance in writing. So many to choose. I never know where to start or which is actually good and helpful. Thank you for this list. I am going to get as many as I can find. I use On Writing for writing motivation, Writing the Breakout Novel for improving my WIP, and The Artist’s Way for general inspiration. To your list (several of which were unknown to me), I would add The Career Novelist by Donald Maass and Writing the Blockbuster Novel by Albert Zuckerman. The books that inspire me are Amanda Hocking’s books because she proves that self published authors can get signed with a publisher if they want it bad enough. Im inspired by people who do what they love and love what they do. I’m inspired by beautiful words and images. I’m inspired by my father who scarificed so much to help me make my dream come true. Now in his retirement its my turn to help him see dreams he thought lost come to fruition…. They will better in the rear view mirror! I love Writing Down the Bones! It was my go-to book in college and it sits on my shelf to this day. What inspires me? Photography, Nature, Beauty, Baking, Confidence – lots of things! There are several on the list above that I haven’t read, so I’ll probably just start at the top of the list. What inspires me currently, though, are images – I’m very visual – music that inspires images, and writers who do the same. If I can visualize the story they are telling, it’s a winner for me. Reading authors I just simply enjoy, is always inspiring. I couldn’t resist this thread because I’m such a collector of writing books and have more than I could read. As for what I would add to the list, well, it’s not a book on writing but I love love love The Creative Habit by Twyla Tharp. Writing Dialogue for scripts would be interesting to read. I often wonder how much dialogue vs. direction is written in a script. I have a bunch of the usual suspects as the things that inspire me. BUT I do have one really bizarre one. It helps to think of a given person – or a group of people – as parts of a machine that need to keep running smoothly. Take a gate: A person can be a gate. They can open someone else up to new ideas, can lead someone somewhere, even when they stand still. It’s their nature. Some of them might be creaky, and might lead to dark places, but some of them could lead to a hidden garden. Then, carrying this thought further, you could also break up the materials of a gate and have a group of people who serve as hinges, or spikes, or whatnot. As I write fantasy, I think this works well. Because if I want to have someone be a magical conduit to something bigger, then there is no reason why they can’t have the personality of a gate. But I’m autistic, so maybe this only makes sense to me. Recognizing that the things my mother taught me are more and more beneficial as time goes by. She was the most intelligent woman I have ever known and taught me unusual things like listening to what people do not say and watching what they do not do. Doing this tells you more about a person than you would know otherwise. She also taught me to make a point of noticing something new every day, like how trees move in the wind, or how birds sit in trees and watch. My mother was a wonder. Reading Like A Writer is one that I’ve purchased and hope to sit down and read it soon. I’ll have to jot down those other suggestions and check them out too. I adore Kristen Lamb’s book “We Are Not Alone: A Writer’s Guide to Social Media”. It’s not about writing per se, but it is about what to do once you’ve written the book. Or even before you’ve written the book. I’ve found this book so helpful and inspiring in my search to figure out who I am as a writer and what I want to do about it. The right book at the right time can change your writing. Don’t read that sentence out loud the right/write will depress you. Comma Sutra and Eats Shoots and Leaves are two that have helped me. You have 3 of my faves on your list: (1) Bird by Bird, (2) Brenda Ueland’s, (3)On Writing Well. One that isn’t so much inspiration but it is useful is Self-Editing for Fiction Writers. Love it. I just pulled out “Write It Down, Make It Happen – Knowing What You Want – And Getting It” by Henriette Anne Klauser. I love setting goals instead of making resolutions. I tend to keep more of them. I’d add Anna Deavere Smith’s Letters to a Young Artist. And I do love Bird by Bird, because it’s applicable for so many different kinds of writing (for me, academic writing and poetry alike). Thanks for the suggestions! Just read Saving the Cat. It completely changed my writing world. highly recommend! Stephen King’s On Writing is my favourite. I have the audio as well, though it took me a while to get over the fact that the real Stephen King doesn’t sound the same as the SK voice in my head. I found that very disconcerting. That part when he goes to the ear doctor – probably the funniest thing I’ve ever read. I have read the book “The Artist’s Way” by Julia Cameron for inspiration and expanding creativity. I am also going to read Randall Ingermanson’s book on writing. He writes according to the snowflake method and I want to find out more about it. Love Save the Cat. Also, The Fire in Fiction. It’s another Donald Maass book. The workshop it is based on was amazing. I think I would love to read Save the Cat by Blake Synder because it’s so interesting. I’m a visual reader and this would be so insightful to see things from a screenwriter’s perspective. All of these books sound like wonderful resources on writing and for weiters -aspiring, new and old. House of Niccolo series by Dorothy Dunnett as it inspires me not to give up and that Love conquers all. I like 1000 Creative writing prompts by Bryan Cohen. I write for my enjoyment, and at times, with working full-time and having three girls 6 years old and younger, I need a prompt to stimulate my writing. I’d like to read Save The Cat. Thanks for the great list! I have found Donald Maass’s Writing the Breakout Novel and Workbook both very useful and practical. I’ve always wanted to read Goal Motivation & Conflict by Deb Dixon. I am reading Paul Dorset’s How to Write and Self-Publish Your First Novel: Writing For Success. I had been reading sample chapters on his blog and really liked his how to tips, so I finally purchased the book last week on Amazon. I really want to read Writing The Breakout Novel – it’s on my TBR pile right now. As a newbie writer who’s been struggling the past 2 years the books that just gave me a lightbulb moment is Victoria Schmidt’s Book In a Month. Not only because of the idea of fast drafting, but because it really breaks down the writing process into a step-by-step and day-by-day process that newbies don’t normally understand at first. I think once I go through the process she lays out it will help me fully understand how to do it more intrinsically next time. I’ve heard about Writing Down the Bones, but never read that one. I really liked Dean Koontz’s On Writing. A friend was telling me to read Story Engineering just last night. Got to add it to the list. Ha! I was just going to come and add Story Engineering to the list. Thanks for the rest of the list, Elizabeth. Those are some great suggestions! Sorry to have missed your talk yesterday! I enjoyed Steven Pressfield’s, War of Art. Also, loved Bruce Holland Roger’s, Word Work. Both of these deal with the writer’s mind, inspiration and dealing with any “issues” which may pop up during writing. The Lie that Tells a Truth by John Dufresne is wonderful – inspiring plus full of great advice. I own six of the books on your list. The one that inspires and helps me the most is Scene and Sequence. I’ve highlighted it, taken notes from it, and go back to it time and time again. I have never read any of the books above and never read any books on writing either(blush) since honesty I have never been very creative in the writing department even in school. However, I have alway wanted to write. I get inspired each time I discover a new author. I did tweet also, however, the tweet that was provided was too long for the 140 characters so I had to shorten it. SO many good books on this list. My favorites right now are Save The Cat, and The Art of War for writers. But it changes periodically. Don Maass…also very good. I loved On Writing and The Breakout Novel. Nothin like a good writing book! Bird by Bird, On Writing, and Writing the Breakout Novel are definitely on my favorite writing books list. I also really like, “Seven Steps on the Writer’s Path (the journey from frustration to fulfillment) by Nancy Pickard and Lynn Lott. The book I go back to time and time again was meant for girls ages 10 and up, but it’s inspiring to me! It has short chapters for quick reads when inspiration is lacking. Writing Magic: Creating Stories that Fly by Gail Carson Levine (who wrote Ella Enchanted). I am also a collector of writing books and have several on your list. However there is one book that gave me so many light bulb moments and made everything click and that was Plot & Structure by James Scott Bell. He is a master at teaching how to write. I hope that 2012 becomes our best year yet for getting those novels written…. I would love to read “The Writer’s Journey by Christopher Vogler. My mom was a writer and wrote about what truly inspired her. She was published only once before she died. I have all of her notebooks where she wrote notes as she observed people. I would truly love to write a book about her life and her observations. This would truly be something to honor my mom’s memory. She was such a special lady with a lot of talent because she painted too! I spent the week between Christmas and New years doing the Writers U/Staycation. It was fabulous. Spent a lot of time with Alexandra Solokoff’s Writing Love book. I am a reader not a writer which is a good thing because I don’t think I have what it takes to write. But if I wanted to write I think from your list I would start with either one of these books: The Courage to Write by Ralph Keyes or The Writers Journey by Chris Vogler. What a great thing to do! I’m looking forward to reading some of these! I think I’ll start with “How to Write Your Best Story” or “Writing the Breakout Novel”. 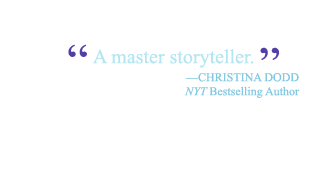 The Writers Journey by Chris Vogler sounds like the book for me… I’d love to become a writer! I would probably read Stephen King’s “On Writing” first just because I’m a fan of his. “Save the Cat” would be on my reading list, too. From titles and descriptions, I would want to start with Save the Cat. And move on from there. It’s great to know what already published writers recommend as to what helped them in their journey. Being a literature major in college, the first book on this list I’d like to read is Reading like a Writer. I want to get back into my writing again and find that fire again while I read even the most boring texts for school because I know there has to be some creative spark even in that. I will read “The Price of Temptation” by Lecia Cornwall first.